KIEV, December 26. /TASS/. Ukraine’s National Security and Defense Council has not lifted entry bans imposed on Russian men aged 16 to 60, the Ukrainian Interior Ministry said on Wednesday. “Taking into consideration the difficult situation with security, all bodies of the Interior Ministry continue functioning on high alert. Ukraine’s National Security and Defense Council has decided to extend the State Border Guard Service’s restrictive measures barring entry to Ukraine for male Russian citizens,” the ministry said citing First Deputy Interior Minister Sergei Yarovoy. A few days after martial law was declared in Ukraine, Ukrainian authorities said Kiev would deny entry for Russian men aged between 16 and 60, whereas other Russian nationals were ordered to confirm the purpose of their visit to the country. 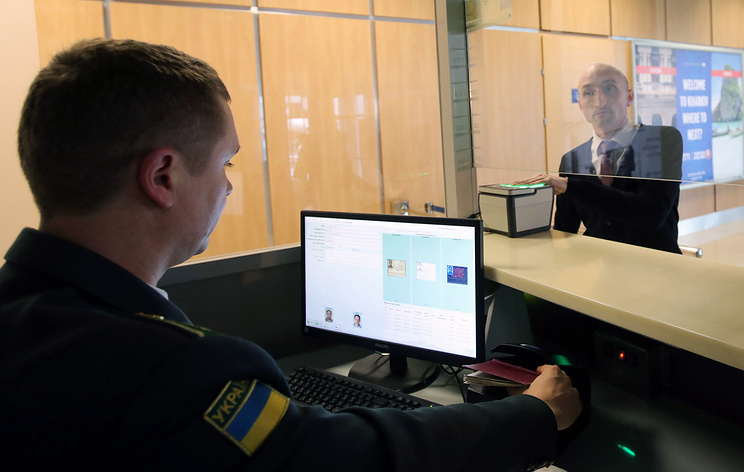 According to the State Border Guard Service, the number of Russians coming to Ukraine has dropped threefold and more than 1,600 Russian citizens were barred from entering the country. The 30-day martial law expired in Ukraine on December 26. Ukraine’s Verkhovna Rada (parliament) passed a decree declaring martial law in the Vinnitsa, Lugansk, Nikolayev, Odessa, Sumy, Kharkov, Chernigov, Donetsk, Zaporozhye and Kherson regions, and in Ukraine’s territorial waters in the Azov-Kerch area on November 26 after an incident in the Kerch Strait. A day earlier, three Ukrainian naval ships violated the rules of navigation through Russia’s territorial waters in the Kerch Strait on the way from the Black Sea to the Sea of Azov. Weapons were used to stop them in the Kerch Strait. The ships were brought to Kerch. A criminal case over the violation of Russia’s state border was opened. The crew members – 24 Ukrainian citizens – were put under arrest and transferred from Simferopol to a detention center in Moscow. All were charged with illegal crossing of the Russian border. Hey Buddy!, I found this information for you: "Entry ban for Russians remains effective after martial law in Ukraine expires". Here is the website link: https://russophile.org/entry-ban-for-russians-remains-effective-after-martial-law-in-ukraine-expires/. Thank you.